The Wisconsin Interscholastic Athletic Association (WIAA) and school officials often stress the importance of sportsmanship at athletic events. Tickets are still available for the 14th annual Green Bay Packers Tailgate Tour set for this week in northern, central and western Wisconsin to visit with fans and thank them in person for their support. When you sit down to watch an NFL game on a Sunday afternoon next fall, be prepared to sit a little longer. While there is still snow across the North Woods, the 23rd annual Journeys Marathon is entering the final stretch to the starting line. The Wisconsin Football Coaches Association (WFCA) and the Wisconsin Interscholastic Athletic Association (WIAA) released a revised football-only conference alignment proposal for the 2020 season, including a move that should be good for the Northland Pines Eagles football team. The 104th annual Wisconsin Interscholastic Athletic Association (WIAA) Boys Basketball State Tournament will take place this Thursday-Saturday, March 14-16, at the Kohl Center on the campus of the University of Wisconsin in Madison. The 44th annual Wisconsin Interscholastic Athletic Association (WIAA) Girls Basketball State Tournament will take place this Thursday through Saturday, March 7-9, at the Resch Center in Green Bay. The 49th Wisconsin Interscholastic Athletic Association (WIAA) Boys Hockey State Tournament and the 18th Girls Hockey State Tournament will take place this Thursday through Saturday, Feb. 28-March 2, at Veterans Memorial Coliseum at the Alliant Energy Center in Madison. It’s still the winter sports season, but football fans can get geared up for the 14th annual Green Bay Packers Tailgate Tour set for April 9-13. The tour will travel throughout central, western and northern Wisconsin — including Antigo — to visit with fans and thank them in person for their support. Supporters of Eagle River hockey and the historic Dome have launched a project to bring attention to the fundraising campaign to raise about $1.5 million for a new cooling system at the Eagle River Sports Arena. With the calendar flipping to February, now is the perfect time to start training for the 23rd annual Journeys Marathon scheduled for Saturday, May 11. The Journeys Marathon events include a 26.2-mile full marathon, a 13.1-mile half-marathon and power walk, and a 10- and 5-kilometer run/walk. 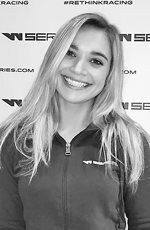 Twenty-eight drivers, including Eagle River native Natalie Decker, were given the very good news last weekend that they had been chosen to go through to the next stage of the selection process of W Series, the all-new single-seater racing series for female drivers only. While all eyes are on the 56th annual World Championship Snowmobile Derby this weekend, there's another major sporting event set for Eagle River in February. Six individuals representing Northland Pines High School and the community attended the 2018 Wisconsin Interscholastic Athletic Association (WIAA)/Rural Mutual Insurance Sportsmanship Summit in Stevens Point in December. The Eagle River/Northland Pines High School Athletic Hall of Fame is seeking nominations for future inductees, the committee has announced. Area hockey fans, get ready for a entertaining night of hockey at the Eagle River Sports Arena. There was plenty of football news from the Green Bay Packers and Wisconsin Badgers over the weekend. The Wisconsin Interscholastic Athletic Association (WIAA) Board of Control approved a number of coaches’ recommendations impacting spring season sports regulations, including softball, track and field, and baseball, and passed the 2018-’19 operational budget at its recent meeting. The changing of the season from fall to winter also means a new season for high school sports, with hockey, basketball and wrestling getting underway for players and coaches. The 43rd annual Wisconsin Interscholastic Athletic Association (WIAA) Football State Championship Finals will be held Thursday and Friday, Nov. 15-16, at Camp Randall Stadium on the campus of the University of Wisconsin in Madison. The first Wisconsin Interscholastic Athletic Association (WIAA)-sponsored eight-player State championship is in the books — and a good game it was. The first Wisconsin Interscholastic Athletic Association (WIAA) eight-player football State championship final will be this Saturday, Nov. 3, in Stanley at 1 p.m.
Conference realignment is always a big issue when it comes to high school sports and the Wisconsin Interscholastic Athletic Association (WIAA). It’s time to lace them up at the Eagle River Sports Arena as the 15th annual Noontime Hockey League is ready to begin today, Wednesday, Oct. 10. The Milwaukee Brewers defeated the Chicago Cubs 3-1 on Monday, earning them the 2018 National League (NL) Central division crown. The Brewers had previously won the Central just once — that back in 2011. Drones are a pretty cool gadget for some hobbyists and professional photographers/videographers, but they also could be dangerous. Fifteen female race car drivers in a variety of categories — including Eagle River native Natalie Decker — took part in the first Women Drivers Assessment Program at Circuito de Navarra in northern Spain, on Aug. 28-29. For Wisconsin sports fans, the fall is off to a great start with the Badgers football team off to a 2-0 start, the Green Bay Packers had an exciting win Sunday night over the rival Chicago Bears and the Milwaukee Brewers are in a pennant race chasing the Chicago Cubs. Dan Schachte of Verona and Jerry Swenson from McFarland will be inducted into the Wisconsin Hockey Hall of Fame in a ceremony in Eagle River this Saturday, Sept. 8. With the high school sports season underway as another school year starts, it’s not surprising to learn that participation in high school sports continues to rise. Two competitive sporting events for athletes are coming to the North Woods. Dan Schachte from Verona and Jerry Swenson from McFarland will be inducted into the Wisconsin Hockey Hall of Fame in a ceremony in Eagle River on Saturday, Sept. 8. The Wisconsin Hockey Hall of Fame was founded in 1975 and is housed in the Eagle River Sports Arena. The hall was established to honor outstanding individuals responsible for the development, growth and success of amateur ice hockey in Wisconsin. With the calendar turning from July to August this week, it means football is just around the corner. Training camp has started for the Green Bay Packers and will peak this Saturday, Aug. 4, with Family Night, presented by Bellin Health, at Lambeau Field. Day activities get underway at 1:30 p.m. in the Lambeau Field Atrium and parking lot. Evening activities get underway in the stadium at 5:30 p.m., followed by on-field football warm-ups at 6:30 and the practice beginning at approximately 7:30. It’s less than a month until the Eagle River/Northland Pines High School ­Athletic Hall of Fame Committee will induct two standout athletes, a coach and several longtime hockey managers to the hall Friday, Aug. 17. The athletes to be inducted are Kent Gray, who played football at Pines from 1979 through 1981, and 1970 graduate Veryl Krosschell, along with baseball coach Jerry Adamovich. The three will be joined by eight members of the Zyhowski family who were hockey managers at Pines since the 1970s. The first few days of training camp are always a festive atmosphere, with excitement in the air as the Green Bay Packers return to the field for another season. This year, however, fans will have many more opportunities for fun with the Packers Experience, a four-day, free festival in honor of the Packers’ 100 Seasons. The Wisconsin Interscholastic Athletic Association (WIAA) Board of Control reviewed and acted on coaches’ committee recommendations impacting winter sports, including hockey and wrestling, at its last meeting. Four hockey recommendations received approval from the board. In an ongoing trend to seed State tournaments, boys hockey coaches of teams advancing to the tournament quarterfinals will determine the seeds for the eight qualifying boys teams, and the four coaches of the teams advancing to the girls State tournament semifinals will seed the four qualifying girls teams beginning in 2018-’19. The 18th annual Pines OAM Alumni Hockey Tournament will be this Saturday, July 7, at the Eagle River Sports Arena starting at 9 a.m. The tournament is named in memory of Orin A. Mangseth, a former Pines boys hockey coach and longtime supporter of the program. Mangseth led the Eagles to their first boys State Hockey Championship in 1984. Natalie Decker of Eagle River will be back on the track this week. Venturini Motorsports (VMS) has unveiled its version of girl power when the longtime ARCA Racing Series presented by Menards team returns to Chicagoland Speedway this Thursday, June 28, with a trio of female drivers competing in the series’ Scott 150 event. With the Milwaukee Brewers playing well so far this season, there hasn’t been a lot of talk about the Green Bay Packers and their upcoming season. But the Green Bay Packers are making plans for 2018 Packers training camp, presented by Bellin Health. As in the past, practices are scheduled to take place at Ray Nitschke Field and Packers Family Night will be at Lambeau Field. With a theme of “Back to Football,” training camp kicks off with an 11:30 a.m. practice on Thursday, July 26. Green Bay finishes the opening week with an 11:30 a.m. practice on Friday, July 27 and an 11:15 a.m. practice on Saturday, July 28. The Eagle River/Northland Pines High School ­Athletic Hall of Fame Committee announced it will induct two standout athletes, a coach and several longtime hockey managers to the hall Friday, Aug. 17. Now that schools are winding down and summer officially kicks off in two weeks, it’s time for runners and walkers to make plans for a couple upcoming 5-kilometer runs — one in St. Germain and the second in Eagle River. St. Germain will kick off its Independence Day celebration Sunday, July 1, with the 14th annual Freedom 5K Fun Run. The race begins at 8:30 a.m. with race day registration and check-in from 7:30 to 8 a.m. Proceeds from the race will be used for maintenance and development of St. Germain’s nonmotorized trails, including the paved bike-and-hike trail and the Awassa Trails. The Three Lakes Coaches Association has announced that the inaugural Three Lakes Athletic Hall of Fame banquet will be held Friday, July 6. The Three Lakes Hall of Fame is a new effort to honor Three Lakes athletes who have made an impact in the school district as a student athlete, coach or fan, according to school district Athletic Director Charlie Volk. “We created the Three Lakes Athletic Hall of Fame to recognize excellence in Bluejay athletics,” said Volk. Two fast-approaching golf outings will benefit Trees For Tomorrow and Walter E. Olson Memorial Library, both in Eagle River, and both fundraising events will be held at the Eagle River Golf Course. Trees For Tomorrow (TFT) will host its 16th annual golf-outing fundraiser on Friday, June 1. This event raises funds to support its environmental science educational programs and provide access to these programs for all K-12 students through scholarship funds. 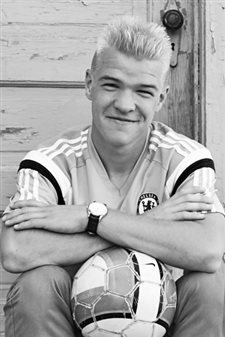 Sixteen senior girls and 17 senior boys, including Elijah Ribbe of Three Lakes, received the prestigious 2018 WIAA Scholar Athlete Award underwritten by Marshfield Clinic. To determine the 33 award recipients, four boys and four girls were selected — based on both athletic and academic achievement — from each of four WIAA divisions. Ribbe was selected in Division 4. There have been 1,052 individuals that have been recognized as WIAA Scholar Athletes since the program began in 1984. 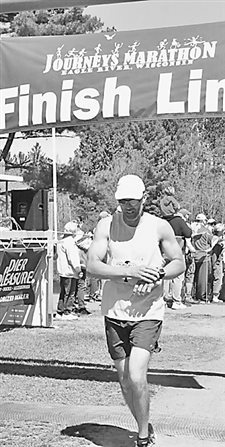 Spectators are being urged to come out to Riverview Park in Eagle River to cheer on the runners in the 22nd annual Journeys Marathon this Saturday, May 12. The Eagle River Area Chamber of Commerce & Visitors Center expects about 800 runners from more than a dozen states to register for the Journeys Marathon to be held on the back roads of Vilas County. While Austin Ramesh didn’t get selected in last weekend’s NFL draft, the former Northland Pines standout and Wisconsin Badger fullback signed with the Arizona Cardinals as an undrafted free agent. Several other teams had discussions with Ramesh over the last few weeks, including the Green Bay Packers, Detroit Lions, Los Angeles Raiders and Atlanta Falcons, but over the weekend he signed with the Cardinals. “Just happy to get an opportunity with a great franchise and I’m just ready to get to work,” Ramesh told WJFW TV-12 in an interview. With Journeys Marathon in Eagle River less than three weeks away, there is still time to register for one of the five events or sign up to be a volunteer. The Saturday, May 12, event features a marathon, half-marathon, 13.1-mile power walk, and 10-kilometer and 5-kilometer runs. Registration brochures are available at the Eagle River Area Chamber of Commerce & Visitors Center or online at journeysmarathon.org. Chamber events coordinator Natalie Spiess said volunteers are needed for a variety of activities, including setup and cleanup at Riverview Park, manning water stations, and assisting chamber staff at the park during the event. The Wisconsin Interscholastic Athletic Association (WIAA), in cooperation with Rural Mutual Insurance, has chosen the recipients of the team Sportsmanship Awards for the 2018 winter State Tournaments. The winners of the prestigious sportsmanship recognition are Valders in boys basketball, Marshall in girls basketball, D.C. Everest co-op in girls hockey, Hudson in gymnastics and Ellsworth in team wrestling. While golf courses are a long way from opening across the North Woods due to the prolonged winter weather, it still might be time to think about playing in a golf scramble later this spring. Golf scrambles generally are a day of fun, yet competitive golf. Anyone can participate and there are a lot of prizes handed out during the day. Most scrambles are for a good cause, and one of those is coming up in early June. With the calendar flipping to April over the weekend, it’s time to train and get registered for any of the five Journeys Marathon events in Eagle River. The Saturday, May 12, event features a marathon, half-marathon, 13.1-mile power walk, and 10-kilometer and 5-kilometer runs. Registration brochures are now available and registrations are being accepted. The competitive equity issue continues to be a tough topic for the Wisconsin Interscholastic Athletic Association (WIAA), especially when it involves small private schools in urban areas that can attract some of the top athletes from larger cities. The WIAA Board of Control recently declined to forward a rural/urban proposal that would have forced some small schools in urban and suburban areas to play up a division in boys and girls basketball. They deemed it as discriminatory and having “a lot of holes” and did not advance the plan for a membership vote. While the NCAA Basketball Tournament is in full swing, the Green Bay Packers, of course, are thinking about football. The Packers have announced several free agent moves, including the release of fan favorite wide receiver Jordan Nelson. He has since signed a deal with the Oakland Raiders. The team also has announced plans for the 13th annual Green Bay Packers Tailgate Tour set for April 10-14, which will travel throughout southern Wisconsin, eastern Iowa and the Milwaukee area to visit with fans and thank them in person for their support. There’s another big week of high school sports ahead as the 103rd annual Wisconsin Interscholastic Athletic Association (WIAA) Boys Basketball State Tournament will take place this Thursday through Saturday, March 15-17, at the Kohl Center on the campus of the University of Wisconsin in Madison. Ticket prices for the tourney are $10 per session (two games in a session) for all seating purchased at the Kohl Center. Ticket windows are available one hour prior to the start of any session. Tickets are available online for $12. It’s March Madness in Wisconsin, with boys and girls basketball tournaments continuing across the state. While the boys are in Sectional play, the 43rd annual Wisconsin Interscholastic Athletic Association (WIAA) Girls Basketball State Tournament will take place this Thursday through Saturday, March 8-10, at the Resch Center in Green Bay. Ticket price for the tourney is $10 per session when purchased at the Resch Center. Tickets for the tournament also will be available for purchase online at the Ticket Star website at ticketstaronline.com. With the calendar flipping to March this week and temperatures in the 40s, it’s time to start training for the 22nd annual Journeys Marathon in Eagle River. The Saturday, May 12 event features a marathon, half-marathon, 13.1-mile power walk, and 10-kilometer and 5-kilometer runs. Registration brochures are now available and registrations are being accepted. When it comes to high school sports, late February and early March is the best time of the year. Area high school sports teams are in postseason playoffs and emotions are high as trips to the State Tournament are on the line. Boys and girls hockey tournaments continue this week with Sectional action, girls basketball teams began play on Tuesday of this week and boys basketball teams start Regional play next Tuesday, Feb. 27. 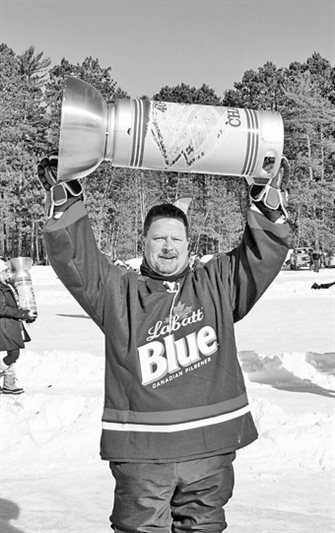 The 13th annual Labatt Blue/USA Hockey Pond Hockey National Championships are in the books, with winning teams receiving huge silver cups for first place in 19 divisions. While some of the nearly 300 teams come to Dollar Lake to skate with old friends and teammates, party and be a part of the great hockey atmosphere, other teams arrive in Eagle River with a goal of winning a championship. Some even have a strategy for playing on the pond. Team Labatt Blue of Chicago won the 40 plus tier 1 division under the direction of Edgar Cepuripis. Excitement is building for the 2018 Winter Olympic Games starting Feb. 9 in South Korea. And this year’s Winter Olympics will have two area connections participating. 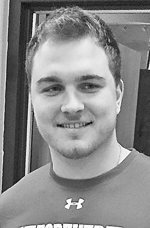 Nick Baumgartner of Iron River, Mich., will be competing in the snowboard cross event and Florence native Nita Englund will be participating in the ski jumping. With the calendar flipping to February this week, now is the perfect time to start training for the 22nd annual Journeys Marathon scheduled for Saturday, May 12. The Journeys Marathon events include a 26.2-mile full marathon, a 13.1-mile half-marathon and power walk, a 10- and 5-kilometer run/walk and a fun run for children 7 years old and younger. The Wisconsin Interscholastic Athletic Association (WIAA), in cooperation with Rural Mutual Insurance Company, has selected the team Sportsmanship Award winners for the 2017 fall State Championships. The recipients of the sportsmanship awards are Lodi in football, Benton in girls volleyball and Madison West in boys soccer. While all eyes are on the 55th annual Country Cat World Championship Snowmobile Derby this weekend, there’s another major sporting event set for Eagle River in February. The 13th annual Labatt Blue/USA Hockey Pond Hockey National Championship will be held on 30 ice rinks located on Dollar Lake just east of Eagle River Feb. 9-11. With the recent cold temperatures, it’s anticipated there will be plenty of ice for the event. 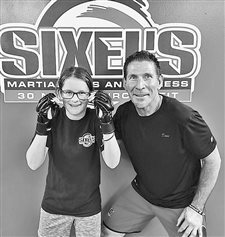 Dave Sixel of Sugar Camp is taking more local athletes around the world for a competition. The United States of America Federation of Pan­k­ra­tion Athlima (USAFPA) will be sending Team USA to Sydney, Australia, for the upcoming Les Scar Cup Feb. 23-25. Team USA coach Dave Sixel has selected 10 athletes from around the United States, including several from this area, to compete in this upcoming championship which has been sanctioned by the world governing body known as WPAF. The Green Bay Packers Hall of Fame Inc. announced that it will induct former Packers players Ryan Longwell and Mark Tauscher at the 48th Hall of Fame Induction Banquet to be held Saturday, July 21, in the Lambeau Field Atrium. Placekicker Longwell entered the NFL in 1997 as a free agent, first signing with the San Francisco 49ers and coming to Green Bay off waivers later that year. Longwell’s 1,054 career points during his nine seasons (1997-2005) with the Packers stood as the team’s all-time scoring mark until 2015. Most high school athletes spend hundreds of hours in the offseason training and improving their abilities to make their teams better. That’s in addition to the hundreds of hours during the season practicing and playing games. Those same athletes are also students, finding time to complete homework, work on class projects and study for tests. Many of them are on the honor roll. The Hall of Fame, established in 2003, recognizes persons who have contributed or excelled in high school, college and/or professional sports and includes athletes, coaches and other citizens of the Northland Pines School District who have contributed to the sports program. The Northland Pines High School football team will play an independent schedule in 2018, athletic director Brian Margelofsky announced last week. The Eagles have been members of the Western Peninsula Athletic Conference (WestPAC) since 2010, but that conference is expanding to 16 teams next fall with large and small divisions of eight teams in each. Margelofsky said the expanded conference will result in the elimination of both the Mid-Peninsula Conference and the Mid-Eastern Conference in the Upper Peninsula of Michigan. 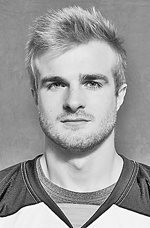 The University of Wisconsin Badgers football team and former Northland Pines standout Austin Ramesh are headed to the Big Ten Championship game this Saturday, Dec. 2. The Badgers improved to 12-0 on the season with a solid 31-0 victory at Minnesota Saturday and remain in the hunt for a national College Football Playoff. There were some exciting sports stories during the fall, including the Northland Pines boys soccer team making the Regional final, the Three Lakes volleyball team reaching the Regional final and the Three Lakes cross-county team sending two runners to the State Meet. The 42nd annual Wisconsin Interscholastic Athletic Association (WIAA) Football State Championship Finals will be held this Thursday and Friday, Nov. 16-17, at Camp Randall Stadium on the campus of the University of Wisconsin in Madison. High school football fans who want to avoid the lines the day of the game can buy State Football Finals tickets now online at wiaawi.org/tickets.aspx. Ticket prices for the event are $8 per game for adults, $20 for a Thursday all-day pass, $15 for a Friday all-day pass and $30 for a two-day pass. Admission for children 6 years old and younger is $1 per game. 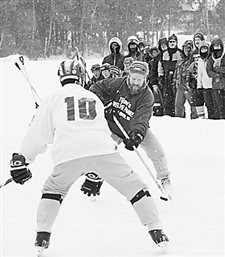 It looks like the 13th annual Labatt Blue/USA Hockey Pond Hockey National Championships on Dollar Lake next February will be as popular as ever. It took just minutes for the first division to sell out for the 2018 event slated for Feb. 9-11. The entire 19 divisions were filled in less than an hour. “We continue to be surprised every year by how quickly the event sells out,” said Katie Holmgren, the tournament director for the annual event on the scenic lake just east of Eagle River. With the fall sports season winding down, the winter sports season for high school teams is just around the corner. The state cross-country championships are in the books, with several local athletes running well and high school football teams are in the level 3 playoffs. Two runners from Three Lakes will be competing in the 105th running of the Wisconsin Interscholastic Athletic Association (WIAA) Boys Cross-Country Championships and the 44th annual Girls Cross-Country Championships this Saturday, Oct. 28, at The Ridges Golf Course in Wisconsin Rapids. Advancing to the Division 3 State Run from Three Lakes are Kortnie Volk, who placed second in the Athens Sectional girls run, and Jared Zwettler, who also placed second in the boys Sectional at Athens. Volk ran the 5,000-meter course in 20 minutes, 1.4 seconds. Zwettler finished his 5,000-meter race in 17:01.3. 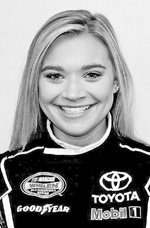 Eagle River native Natalie Decker will wrap up her whirlwind season when she takes the wheel in Friday night’s ARCA Racing Series presented by Menards Kansas 150 season finale at Kansas Speedway. Decker returns to the seat for the seventh time this season. Despite having raced Pocono’s superspeedway twice this season, Kansas marks just the second time the 20-year-old rookie driver will race on a mile and a half surface during her young career. The Wisconsin Interscholastic Athletic Association (WIAA) Board of Control voted to revisit the implementation of the basketball shot clock at its meeting in Stevens Point last week. The board’s decision to revisit the 35-second shot clock at its Dec. 1 meeting comes after discussion and input received at this fall’s area meetings of coaches and athletic directors. Just like the good old days, a group of Eagle River men and women are ready to lace up their skates and spend some time on the ice at the historic Eagle River Sports Arena. Men and women ice skaters of any age are welcome to participate in an Eagle River Recreation Association adult hockey program Mondays, Wednesdays and Fridays, between noon and 1 p.m. It’s called the Noontime Hockey League and starts this Friday, Oct. 7. 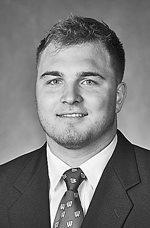 The University of Wisconsin Badgers, featuring Northland Pines graduate Austin Ramesh at fullback, will return to action this week after having a week off. The Badgers will host the Northwestern Wildcats at 11 a.m. this Saturday, Sept. 30, at Camp Randall Stadium. The game will be televised nationally on ABC. There is new excitement in Green Bay, especially in the Lambeau Field area. Titletown Park opened for activities last week, with a ribbon-cutting ceremony and public event introducing community members and visitors to the variety of activities available each day at Title­town. The multi-acre park features a plaza, activity area, playground and sports field, with year-round, diverse programming including fitness-related activities, cultural opportunities, festive game-day action and versatile space for a variety of uses. Two challenging runs are still planned in the North Woods this fall, offering running enthusiasts an opportunity to compete on scenic trails during the brilliant fall color change. 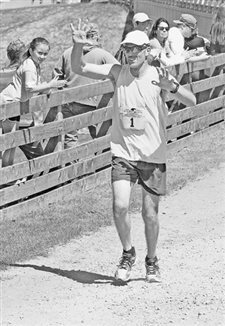 The Great Lakes En­dur­ance Trail Run 5K and Half-Marathon is set for Sunday, Sept. 17, on the campus of the Conserve School in Land O’ Lakes, and the Three Eagle Half-Marathon and 5K Run will be held Saturday, Oct. 14, on the Three Eagle Trail between Eagle River and Three Lakes. The Great Lakes Endurance Trail Run travels along seven wilderness lakes and includes single-track as well as wide, grassy, cross-country ski trails. Tim Coghlin of Suamico and John Kennedy of Franklin will be inducted into the Wisconsin Hockey Hall of Fame in a ceremony in Eagle River this Saturday, Sept. 9. In addition, and at the same ceremony, the Wisconsin High School Hockey Coaches Association will induct Steve Kirley from Hayward into the Wisconsin High School Hockey Coaches Association Hall of Fame. The Minocqua Area Chamber of Commerce announced last week that the Small Town Baseball World Series will take place July 20-22, 2018, at the Minocqua Park Complex. The tournament will likely boost interest in baseball in the area and could provide an economic boost across the region. Led by the largest one-year increase in girls participation in 16 years, the overall number of participants in high school sports increased for the 28th consecutive year in 2016-’17, according to the annual High School Athletics Participation Survey conducted by the National Federation of State High School Associations (NFHS). Based on figures from the 51 NFHS member state high school associations, which includes the District of Columbia, Wisconsin ranks 14th in the nation in sports participation with 183,044 participants. I already sense the excitement among University of Wisconsin Badgers football fans. The University of Notre Dame and University of Wisconsin have agreed to a two-year, neutral-site football series beginning in 2020. The Eagle River/Northland Pines High School ­Athletic Hall of Fame Committee reminds Eagle fans that the induction ceremony to the hall for two standout athletes, a coach and a football team will be Friday, Aug. 25. The athletes to be inducted are 1979 graduate Barry Mess and 1982 graduate Dennis Michael DeLoye, along with coach Tom Druschke. The three will be joined by the 1969-’70 football team at the 2017 induction ceremony. Allan “Bud” Selig — a lifelong supporter of the national pastime — was inducted into the National Baseball Hall of Fame Sunday, an honor he truly deserved. Born July 30, 1934, in Milwaukee, Selig came of age as an ardent baseball fan. He attended games of the minor league Milwaukee Brewers and eventually the Braves when they moved to Milwaukee in 1953. By then, Selig was at the University of Wisconsin at Madison, majoring in American History and Political Science. He graduated in 1956 and — after a tour in the U.S. Army — joined his father at his Ford dealership in nearby West Allis. 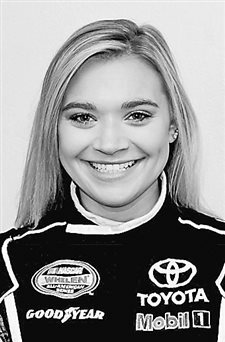 After securing a four-race deal earlier in the year with Venturini Motorsports, 19-year-old Natalie Decker of Eagle River has announced the addition of this week’s event at Pocono Raceway along with the series’ season finale at Kansas Speedway to her remaining 2017 ARCA Racing Series presented by Menards schedule. With August less than two weeks away, that means one thing. Football season is just around the corner. This summer high school football players are involved in 7-on-7 passing scrimmages, college players are going through summer training and weightlifting routines, and professional players are participating in minicamps. The event might feature a special brand of music and great barbecued food, but it’s really a huge fundraiser for youth sports. What has become one of northern Wisconsin’s best summer music festivals, Joe Bucher’s Blue Fest will celebrate its 18th consecutive event Saturday, July 29, at the St. Germain Community Park Pavilion. Two fundraising events for area wellness centers are fast approaching. 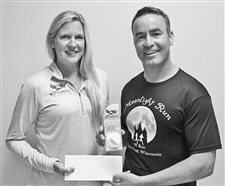 The fourth annual 5K Moonlight Run/Walk will be held in downtown Eagle River this Saturday, July 15, as a fundraiser for Pines Community Wellness Center at Northland Pines High School. The Wisconsin Interscholastic Athletic Association (WIAA) Board of Control reviewed and approved a number of committee recommendations impacting winter sports, including basketball and hockey. Following a lengthy discussion, the board voted to implement the use of a 35-second shot clock in basketball, for varsity games only, to begin with the 2019-’20 season (see related story in this issue). The Eagle River/Northland Pines High School ­Athletic Hall of Fame Committee announced it will induct two standout athletes, a coach and a football team to the hall Friday, Aug. 25. The athletes to be inducted are 1979 graduate Barry Mess and 1982 graduate Dennis Michael DeLoye, along with coach Tom Druschke. The three will be joined by the 1969 football team at the 2017 induction ceremony. For those football fans who don’t have season tickets for the Green Bay Packers, there is a way to see the “green and gold” at Lambeau field. The Green Bay Packers announced that “Packers Family Night, presented by Bellin Health,” will take place Saturday evening, Aug. 5. Now in its 17th year, ‘Family Night’ will serve as the introduction of the 2017 Green Bay Packers — in person to an anticipated capacity crowd in Lambeau Field and on television to a statewide audience. St. Germain will kick off its Independence Day celebration Sunday, July 2, with the 13th annual Freedom 5K Fun Run. The race begins at 8:30 a.m. with race day registration and check-in from 7:30 to 8:15 a.m. Proceeds from the race will be used for maintenance and development of St. Germain’s nonmotorized trails, including the paved bike-and-hike trail and the Awassa Trails. The Green Bay Packers have announced the dates for the start of training camp, allowing fans the opportunity to plan a summer trip to get a glimpse of the “Green and Gold” on the practice field prior to the season. Three area organizations will host charity golf events in June, raising funds for Trees For Tomorrow, Olson Memorial Library and for fighting pancreatic cancer. 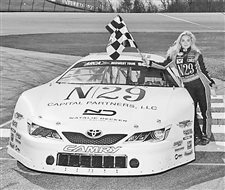 Natalie Decker is poised and ready to join Venturini Motorsports (VMS) for her highly anticipated ARCA Racing Series presented by Menards debut during this weekend’s Menards 200, presented by Federated Car Care, at Toledo Speedway. 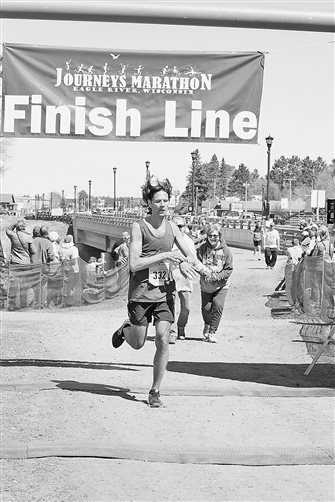 Spectators are being urged to come out to Riverview Park in Eagle River to cheer on the runners in the 21st annual Journeys Marathon this Saturday, May 13. The Wisconsin Athletic Hall of Fame held its 66th anniversary induction last Saturday night at the University of Wisconsin-Milwaukee Panther Arena in Milwaukee, with three sports greats joining the hall. Fans returned to Camp Randall Stadium last Friday evening, giving the Wisconsin football team an energetic atmosphere as the Badgers put the wraps on spring practice. The Wisconsin Football Spring Game saw the White team (defense) edge the Cardinal squad (offense), 20-17, in an effort led by linebacker Griffin Grady’s nine tackles and an interception from cornerback Caesar Williams. With golf courses opening across the North Woods the next week or two, it’s time to think about playing in a golf scramble or two this spring. Golf scrambles generally are a day of fun, yet competitive golf. Anyone can participate and there are a lot of prizes handed out during the day. Most scrambles are for a good cause, and one of those is coming up soon. The issue of whether high school student-athletes should specialize in one sport or play multiple sports continues to be debated across the country. It’s hard to believe the 21st annual Journeys Mara­thon is just a little over a month away. The Saturday, May 13, event features a marathon, half-marathon, 13.1-mile power walk, 10-kilometer run and 5-kilometer run. 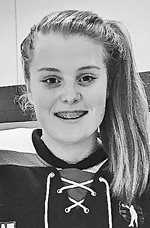 Two Northland Pines hockey players are continuing their hockey seasons on Team Wisconsin and will be playing at the national level next week. It was another great day for Wisconsin basketball, as the eighth-seeded Badgers upset top-seeded Villanova (32-4) from the NCAA Tournament and advanced to the Sweet Sixteen. Tickets are still available for the 12th annual Green Bay Packers Tailgate Tour set for April 4-8, which will travel throughout northern Wisconsin and Upper Michigan to visit with fans and thank them in person for their support. It’s March Madness in Wisconsin, with boys and girls basketball tournaments continuing. With the calendar flipping to March this week, the 21st annual Journeys Marathon is entering the final stretch to the starting line. The Saturday, May 13 event features a marathon, half-marathon, 13.1-mile power walk, 10-kilometer run and 5-kilometer run. Registration brochures are now available. A spring triathlon is returning to Boulder Junction and it will be part of a summer-long series. Registration is open for the third annual White Deer Triathlon, Saturday, May 20. “We’ve had two great years of the White Deer Triathlon so far and we already have more than 200 registered as we head into 2017,” said Director of Boulder Junction Chamber of Commerce Theresa Smith. With the calendar flipping to February this week, now is the perfect time to start training for the 21st annual Journeys Marathon scheduled for Saturday, May 13. The 12th annual Labatt Blue/USA Hockey Pond Hockey National Championship is still a go, even with the recent thaw. That’s according to Pat Weber, who has the big job of getting Dollar Lake ready for the huge tournament.